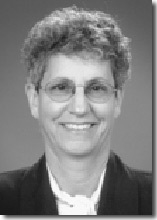 ACCL » Griffin, Deborah S.
Deborah S. Griffin is a Partner in the Construction Industry Practice Group at Holland and Knight and concentrates her practice in the area of construction, commercial litigation and bankruptcy. She regularly advises contractors, owners and sureties on construction contract, administration and claim matters and handles construction disputes from start to finish. Ms. Griffin’s experience includes the representation of contractors, construction managers, owners, sureties, banks and bank regulators in loan and contract default situations, both before and during litigation or bankruptcy proceedings. She has helped draft a contract addendum for the use of building information modeling (BIM) on construction projects which has been published as ConsensusDOCS form 301. Her practice includes: structuring project delivery methods and reviewing, structuring and negotiating construction, design and construction management contracts; advising clients on contract interpretation and contract and project administration for commercial, institutional, and public building projects and public works projects; claim avoidance counseling; public procurement laws and bid protests; construction industry labor and employment issues; OSHA and building code matters; change order management; project close-out management; assessment, preparation and defense of claims; litigation and arbitration of construction related disputes; contract default management and providing general business advice to construction industry clients.